Do you often find yourself running short of time? Do you tell yourself that there wasn’t enough of time given to complete a task? Is the number of tasks overwhelming you? Do you wonder where the time went? Such is the story of most students these days. This is probably a case of ineffective time management skills. With the tough competition faced by students nowadays, it becomes necessary for them to score well to ensure that they get admission into courses and colleges that they desire. As a result importance is given to the time spent in coaching classes or tuition to excel, thus reducing the amount of time spent in recreational activities which act as refreshments. Nevertheless, there is a solution and you’ve guessed it! You need to learn effective time management skills. The first step to achieving this is by following these simple steps. Although it seems silly now you will only notice its effectiveness after following it. When tasks are given in school or college, note them down along with the deadlines for that particular task. Apart from this you need to list out all the tasks that you have to do. Let it be household chores, a football practice, social activities or errands to run. Once you have made a list of all the activities that need to be done, you now need to place these activities in the order of importance. The order of importance depends upon the dead line date, the nature of the task and the time and effort involved for the completion of the task. For instance if you have an essay that is due tomorrow then you definitely need to finish it now instead of going for a party when you haven’t even started. Here you can either prepare a calendar or a time table for all the tasks that need to be completed. On the Calendar you need to jot down the task on the deadline date. This will let you know what task has which deadline and by when you need to finish the task. You can even create a time table as well. You can then allot time to tasks that need to be completed in the order of the priority derived with the To Do List in the time table. It may seem unnecessary but you will be amazed by the amount of work completed by sticking to these deadlines. Setting deadlines is to get you started on the task. Although there can be various things that may interrupt your work, this will ensure that you finish at least some part of the work. 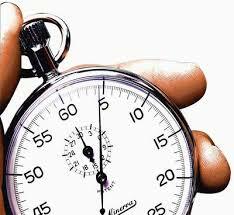 Nevertheless, if you have managed to finish the work within the deadline is good because it gives you more time to finish other tasks. With the advancing technology, we can now set reminders on cell phones. This will give us a heads up on the tasks that has to be done in case we forget. It is said that the recipe for disaster is indulging in procrastinating behavior. It is the little voice in your head telling you that there is time so you can do it later. So go and have fun instead of being responsible. You need to stop putting off tasks for a later time especially if you wish to excel in class. Therefore, “you may delay, but time will not”. When creating either a calendar or a time table you can make it exciting with a little bit of creativity. This will motivate you to do the tasks. It is important to develop ways that attract you to the tasks. If you have a positive attitude it increases your chances of completing the work in time. If you have been able to finish all the work that you have planned then stop for a minute and reward yourself. You can have a Chocolate or two depending upon the amount of work that has been completed. If the social activities are taking up most of your time and affecting either your homework or health then you need to reduce these activities as it is only temporary. Activities that compromise on your health and important work such as school work are a sign of doing too much too fast and you might want to slow down a bit. Ensure that you sleep on time and get at least 7 to 8 hours of sleep. Eat a balanced diet and exercise. Do not ignore these things as it will affect your performance because both your mind and your body need to rest in order to function effectively. If adequate rest is not given, your performance is compromised. You should even spend time with friends as well as it is said, “All work and no play, makes Jack a dull boy”.